Apple is planning a special, invitation-only event for September 9, 2009, confirming rumors that have circulated on the Mac Web for the past couple of weeks. The event will take place at the Yerba Buena Center for the Arts Theater in San Francisco, Calif., located in the same complex as the Moscone Center, site of Macworld Expo and Apple’s Worldwide Developer Conference (WWDC). It will occur at 10:00 AM Pacific Time on Wednesday, Sep. 9, 2009. Since 2005, Apple has used special events timed near the beginning of September to highlight changes to its music business. In 2008, the company introduced a new iPod nano, made changes to the iPod touch and pared the iPod classic to a single offering, and introduced iTunes 8. 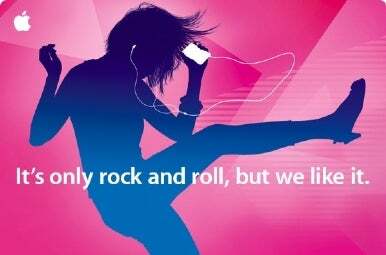 In years before that, the company has unveiled the iPod nano, refreshed other iPod offerings and announced changes to its iTunes Store offerings at similar events. Speculation for what Apple has up its sleeve at next month’s event run the gamut from another major revision to iTunes to a significant refresh to the iPod touch, which has become an increasingly important part of Apple’s revenue stream in recent quarters. Some pundits also want Apple to introduce its long-rumored but as-yet-unannounced tablet device. Hope springs eternal.